O Sensei Morihei Ueshiba did amazing things - there is no doubt - things that appeared magical. He seems to have had a fondness for demonstrations of what looked like superhuman strength or spirit magic, like having a bunch of folks try to push him over or holding people back at the end of a jo. Even the folks (that I've met) who claim to know how he did much of what he did cannot replicate all of it. But there are apparently a lot of folks that can replicate some of his parlour tricks. Lulu Hurst (1869-1950) was an American stage magician. 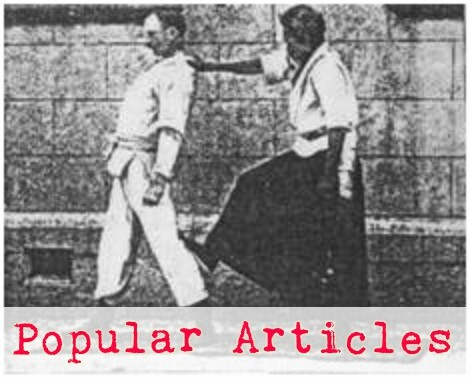 Under the stage name the "Georgia Wonder" or "Laughing Lulu", the teenage Hurst specialized in demonstrations of super-normal strength. 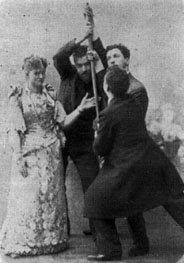 Her act involved having a number of men hold an object (such as a chair or pole), and then moving the object and the men holding it with an apparently light touch. Her performances were popular in the early 1880s, drawing crowds in major cities such as Atlanta, New York and Chicago. She performed for only two years, before cancelling a planned European tour and retiring in 1885 (aged 16). Soon after her retirement, she married her manager. She later admitted, in her biography, that her "supernatural" powers were in fact due to the judicious application of body mechanics and deflection of force, although during her teenage years she herself believed them to be genuine. Her autobiography is fascinating - especially Part II, in which she spills the beans on how she did the things she did! 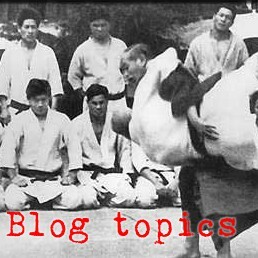 This book has bearing upon the internal strength ideas we've been tossing around for a year or two, as well as bearing upon Ueshiba's parlour demonstrations of ki and aiki. Lulu Hurst (the Georgia wonder) writes her autobiography and for the first time explains and demonstrates the great secret of her marvelous power.